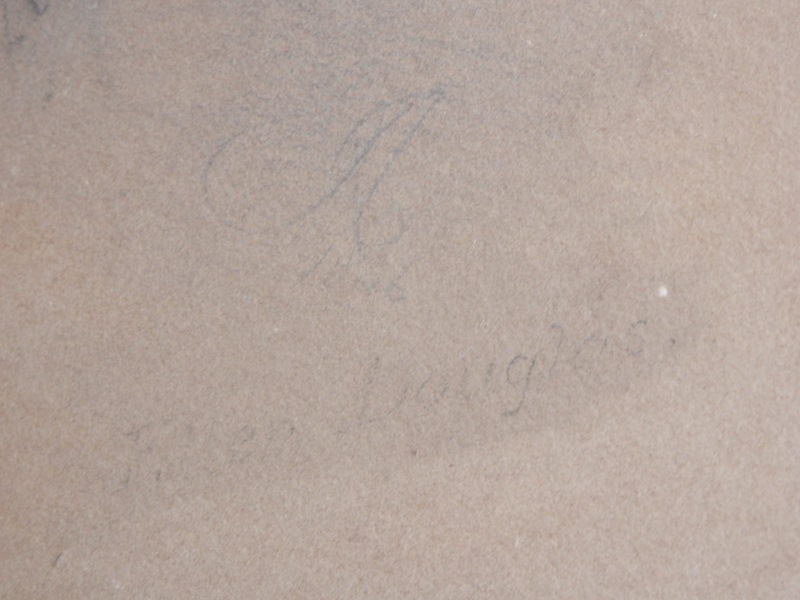 One expects that great and renowned authors like #JaneAusten would be instantly recognisable but in fact only five or six images of Miss Austen have been authenticated and most of them are taken from a drawing done by Jane’s sister Cassandra. I would like to introduce you to Jane Austen – a new image (as yet unauthenticated). The only truly authentic pictures of Jane are those done by her sister, Cassandra. There are of course others – the ‘Rice’ portrait displaying the image of Jane as a precocious 13 year old – the recently uncovered ‘Byrne’ portrait showing Jane as a working and accomplished authoress – the ‘Clark’ portrait of a somewhat more flamboyant personage. Experts have found problems with each image- but I digress- I am not here to argue pros and cons but introduce my image. We begin with the stylised JA with the date 1806 just beneath it. The date of 1806 would make this pictures creation date prior to Cassandra’s sketch and Jane would have been 30 at the time. As far as the artist ‘Ellen Douglas’ I have been unable to garner any information. She is of course a character in Walter Scott’s poem ‘The Lady of the Lake’ composed around 1810 so the character might be based upon a real personage but that is another digression not to be taken. The drawing is done with some skill – portraying a real person – not a rough sketch or impression. 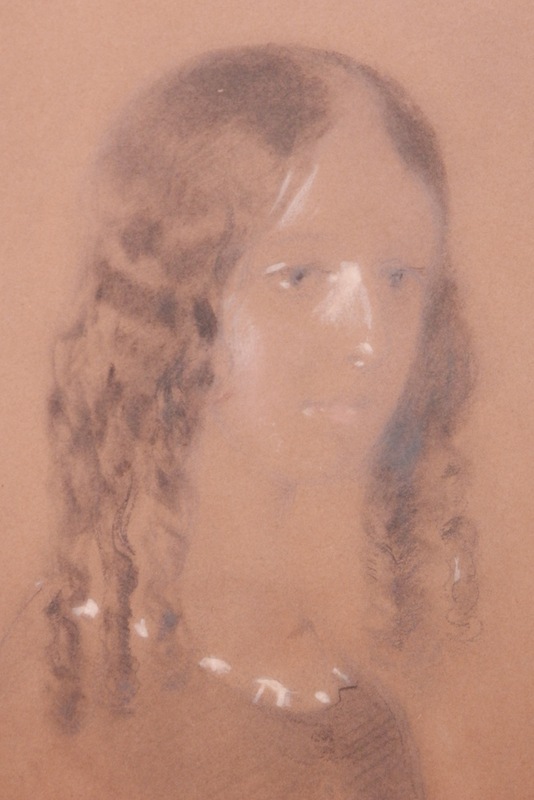 A half length image of Jane seated with her curly tresses exposed. The style of her dress is indicative of the stated date 1806 and of dresses which she appears in in other portrayals. Jane was above average in heighth with grace and poise. Her face long and round with large hazel eyes and fairly dark brown naturally curly hair. She was described as ‘pretty’. Jane regularly wore a bonnet or cap so this portrait would certainly have been done in a relaxed and personal location with someone she knew and trusted. No indication of when in 1806 the portrait was done so no location for the sitting. I am not an expert on images of Jane Austen but to my eye this portrait could be another step in solving one of the oldest mysteries in English literature – that of the appearance of Jane Austen. I am informed by a professional on Miss Austen that the dress the lady is wearing is not of the correct age. It comes from the 1830’s – 1840’s and so the young lady in the picture could not be Jane Austen. 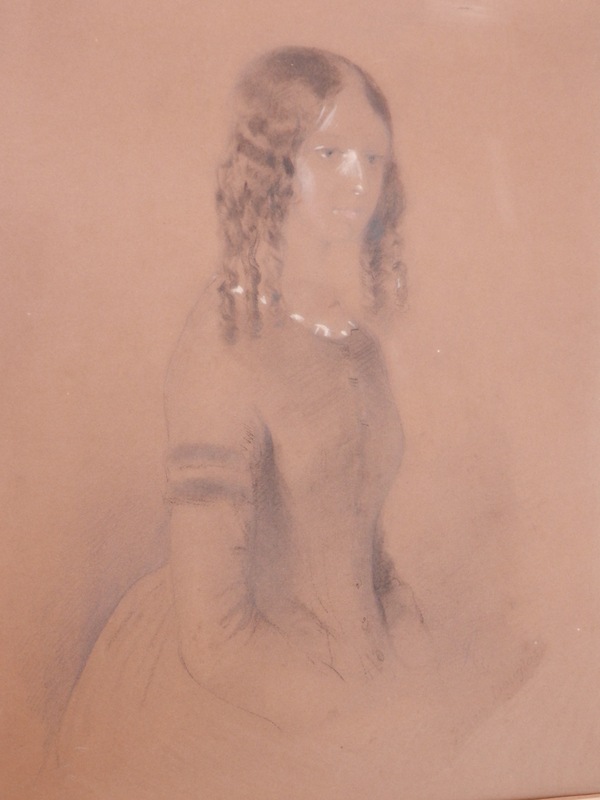 This entry was posted in Drawings and Sketches and tagged body colour, dress, graphite, Jane Austen, portrait. Bookmark the permalink.